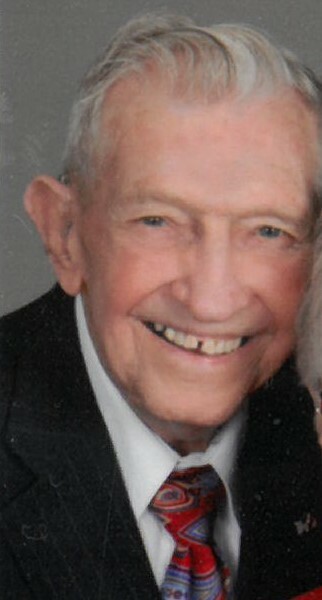 Arthur R. “Bob” Kidwell, 93, of Greenwood, passed away Friday, February 1, 2019. He was born to Arthur and Goldie (Kephart) Kidwell on March 1, 1925 in Indianapolis. Bob graduated from Center Grove High School in 1943. Right after graduation he was inducted into the United States Marine Corps on August 23, 1943. Bob served his country during World War II. He fought in Guam for some time and then was shipped to Iwo Jima. His unit was the second wave of Marines to land on the island. After surviving Iwo Jima, he returned to Guam where he stayed until the surrender of the Japanese. Bob was discharged from the Marines on January 3, 1946. He then returned back home and started working for Indiana Bell Telephone Company where he worked for 36 years. Bob also met his wife, Marilyn (Lawson) Kidwell through his work. They got married on May 7, 1982 in New Palestine. Bob volunteered at the VA hospital for some time. He was a member of Warriors Hope and the American Legion Post 404 of New Palestine. Bob attended the Trafalgar United Methodist Church. Bob enjoyed reading and spending time with his family. Bob is survived by his wife of 36 years, Marilyn (Lawson) Kidwell, of Greenwood; his children, Paul (Linda) Kidwell of New Palestine, Sharon (Dale) Morgan of Mooresville, and Janet Brandlein of Indianapolis; his step-daughters, Susan (Ron) Roberts of Indianapolis and Tammy Childs of Greenwood; his sister, Pat (Kenny) Walls of Greenwood; 14 grandchildren; 31 great-grandchildren, and three great-great-grandchildren. Bob was preceded in death by his parents, Arthur and Goldie (Kephart) Kidwell; four brothers; and four sisters. In lieu of flowers memorial contributions may be made to the Warriors Hope and Trafalgar United Methodist Church in Bob's honor. A visitation will be Wednesday, February 6th from 11 a.m. to 2 p.m. with a service immediately following at Mt. Auburn United Methodist Church, 3100 Stones Crossing Rd., Greenwood, IN 46143. Burial will be at Mt. Pleasant Greenwood Cemetery where military honors will be held.